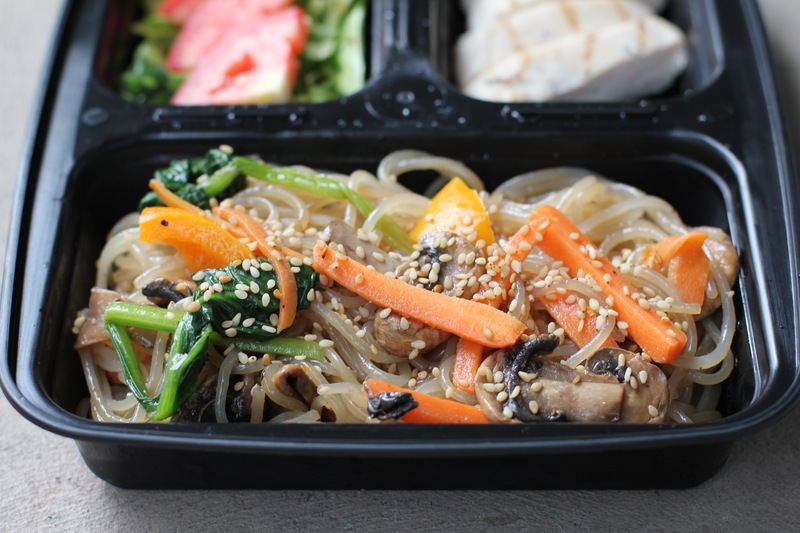 Japchae has been a Korean staple in kitchens for a long time! 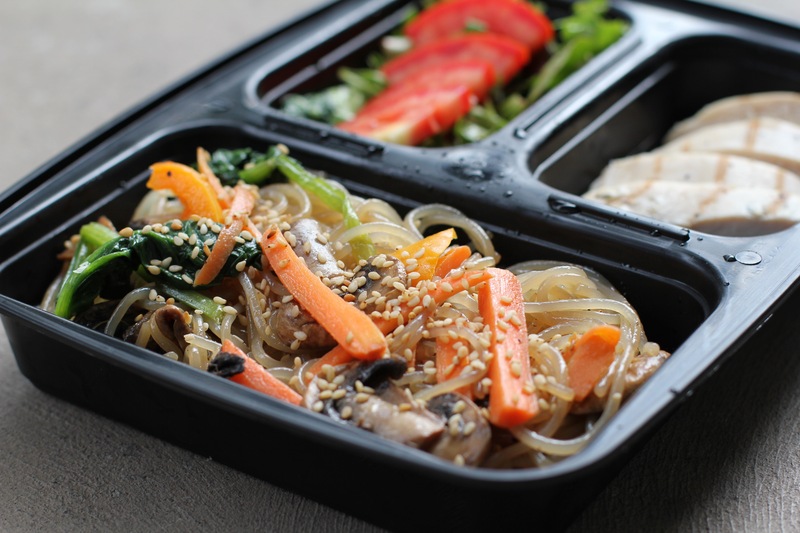 It’s made with sweet potato starch noodles and stir fried with vegetables and meat (optional). It’s very easy to make, and when reheated tastes just as good as when it’s made fresh. For that reason, it’s one of my favorites for mealprep! It may seem labor intensive – you have to cook each of the ingredients separately and then combine them, but it definitely makes the dish delicious, because each of the ingredients has a different texture and cooking time. Added together, they create delicious flavors that compliment each other perfectly! A lot of recipes use brown or white sugar, but I have eliminated it for clean eating/health purposes and replaced it with honey. Here’s how I made this. Let me know what you think! Bring a pot of water to a boil. Add the bag of vermicelli noodles. Cook for about 4 minutes or until the noodles are soft. Drain then place in a large mixing bowl. Rinse with cold water to stop them from cooking. Add 1 tablespoon of sesame oil to the pan. Add the carrots. Stir fry over medium heat until the carrots are slightly soft. Once done, remove from the pan and add to the mixing bowl, on top of the noodles. Add 2 tablespoons of sesame oil to the pan along with the mushrooms. Stir fry for a couple of minutes until the mushrooms have become browned. Remove from the pan and add to the mixing bowl, on top of everything else. Add the sliced bell pepper into your already oiled pan. Stir-fry until they are slightly soft, yet still have a slightly crunch texture. Add to the mixing bowl. Cook your spinach. Wash it and bring a pot of water to a boil. Dip it into the water for about a minute, then take it out, squeeze out the water and add to the bowl. Using your hands, add the rest of the sesame oil, garlic, and soy sauce, and honey and mix all of the ingredients together. Do a taste test — if you think it needs more soy sauce or sesame oil, add it in at this time, then mix some more. Season with sesame seeds, and serve as a meal! Enjoy!